and to try and find ways to meet them without using food." 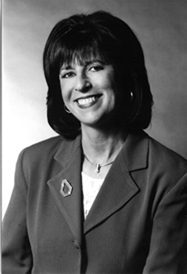 Janice Alpert, M.A., L.C.P.C., is a licensed therapist in private practice since 1981. She treats a variety of issues, specializing in eating disorders and weight management. She has combined her personal experience concerning past weight issues with her professional expertise in helping hundreds overcome the pain of emotional overeating. Her proven approach will have readers throwing out all those old diet books, and never again starting another diet on Monday - or any day. In addition, Janice has taught graduate level classes at National Louis University. She also conducts a wide range of workshops and seminars on how to treat eating disorders and conquer compulsive/binge eating. She has appeared on many radio and TV programs, including three appearances on Oprah!. Janice now offers her years of clinical experience in treating eating/weight issues to you. You may book a confidential phone therapy session with Janice. The cost is 30 minutes at $95.00 and 60 minutes for $180.00. For sessions thirty minutes or longer, you will receive a free copy of "I Always Start My Diet On Monday" (less shipping/handling fee: $2.50). If you feel you need some individualized assistance to help permanently conquer your food/weight struggle, Janice is available to help. Some insurance companies will reimburse. To set up an appointment, call Janice at (847) 441-5470.